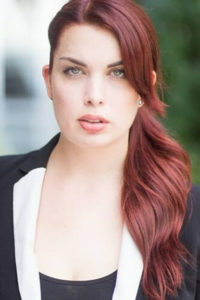 Demi Fragale (Echo) is an actress and singer living in NYC. 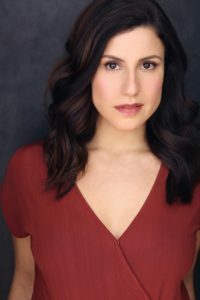 A graduate of The University of Michigan’s Musical Theatre Department, Demi has appeared in various productions and cabarets in NYC and beyond. Favorites include The St. Louis MUNY, The Weston Playhouse, Joe’s Pub, 54 Below, and the Duplex, where she debuted her original one woman show entitled, I CHOOSE YOU. Proud member of Actor’s Equity Association. Plays: Superior Donuts; August Osage County (Music Box); Edward Albee’s Me, Myself and I; (Playwrights Horizons); Wings of Desire and Clockwork Orange (Amsterdam; Boston A.R.T. ); A Midsummer Night’s Dream (McCarter Theater, Paper Mill Playhouse, dir Tina Landau); J.P. Shanley’s Sailor’s Song (Public Theater); recipient of the Craig Noel and Inner Circle Critics’ awards for Bus Stop (The Old Globe, dir. 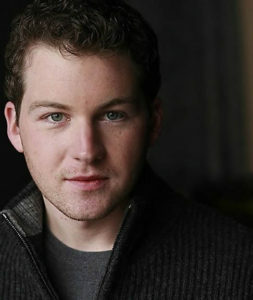 Joe Hardy); Boy Gets Girl (Seattle Rep). FILM most recent: highly acclaimed Compliance, A Late Quartet, and Coen Bros film Inside Llewyn Davis. As an avid podcast listener, Campbell is very excited to make her podcasting debut! TV/Film: “Boardwalk Empire”, “Mozart in the Jungle”, “The Tonight Show with Jimmy Fallon”, “The Carrie Diaries”, Even After Everything, Derailed. NY Theatre: Secondhand Shakespeare (West Village Play Festival), Confessions (Theatre for a New City). 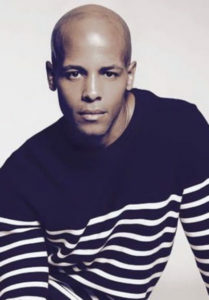 Campbell graduated from NYU with a degree in Political Science, and was trained at the Stella Adler Studio of Acting and Circle in the Square Theatre School. Andrew Pandaleon (Carver) has been an actor for most of his life performing in Off Broadway productions including “The City Club” and “History of War.” He has also been countless regional productions including, “Romeo & Juliet,” “The History Boys,” “Laughter on the 23rd Floor,” “Happy Days” and “Sunset Boulevard.” He has been a teacher at The Gateway Playhouse, is an avid songwriter, and is now happy to be in the producer’s chair for REWRITES. Andrew is originally from Chicago and graduated from UCLA. Destiny recently landed a lead role in an upcoming untitled T.V. Pilot currently being pitched to major networks. 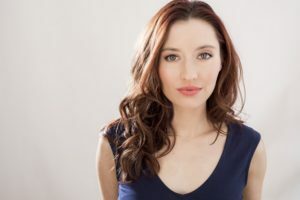 She has been involved in a couple of Off-Broadway companies and has appeared in several plays including Erik as Madame Giry, A Midsummer Night’s Dream as Helena, and Helvetica as Mother. She received her BA in theater from Hunter College and has also starred in several short films, most recently “Utopian Codex,” which is currently being submitted to festivals. I’m originally from Philadelphia, PA. I have mainly done commercials. Some of the commercials I have been in is for Zyrtec, Chase Bank, C&A (European clothing company), Metamucil, and a film for BBC called The Game Changers (featuring Daniel Radcliffe & the late Bill Paxton) . My scene was with Daniel Radcliffe shot in Cape Town, South Africa. 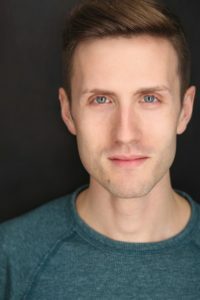 Ryan Karels (The Producer) is the representative comedian for North Dakota (Huffington Post, 2011) and performs improv comedy at the UCB Theatre in NYC in the show Grandma’s Ashes: We Won’t Tell. 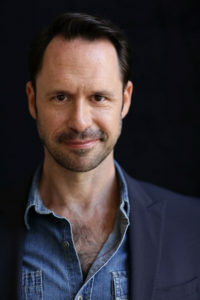 On television he has portrayed well-liked characters such as Bernie the Hernie, Dad, Derek McGillicuddy, a drunk half-cartoon bunny, Ryan, Man in the crowd, Matt Yaegar the Meth Head, Hank, Guy with a Mullet, and other Dads. He once rode a horse on Late Night with Conan O’Brien. Broadway & National Touring Companies/ Gigi, Mary Poppins, Drowsy Chaperone, Beauty and the Beast, Cats, State Fair. Most recently played Lumiere in Beauty and the Beast at the Fulton Theatre. Regional/ Rev. Shaw (Fulton), Chamberlain(MSMT), La Cage (Forestburg), Ragtime (Milwaukee Rep). 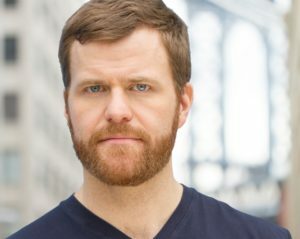 Television and Film credits include Kevin Can Wait, The Good Wife, Law and Order: SVU, Alpha House, One Life To Live, Watching The Detectives,The Wolf Of Wall Street and Bridge of Spies. Theatre credits include the National Tour of Fiddler On The Roof w/Theodore Bikel. Gypsy w/Joyce DeWitt, The Hound of the Baskervilles, High Spirits, A Christmas Carol, The Nerd, Rough Crossing. Uncle Vanya, Angel Street, Annie Get Your Gun, Wait Until Dark, Funny Girl, Moon Over Buffalo, and Kiss Me Kate. Skyler has been acting, singing and dancing since she was 2 years old. Her first major role was “Small Alice” in Alice in Wonderland at age 5. She has since performed in My Son Pinocchio, The Little Mermaid, The Tale of Snow White, Beauty and the Beast and Willy Wonka. (Regional Theater) Film: Jessica in “Tarnished Notes” She is thrilled to be making her first podcast! 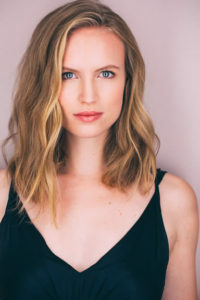 Since relocating to New York City seven years ago, Danielle has appeared on Law & Order: SVU, Unforgettable, Gotham, Mating, and the feature film Almost Mercy, amongst many other titles. She studies privately with the insurmountable Jennifer Gelfer and is a member of MN Acting Studio. 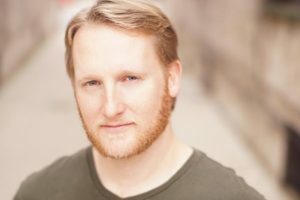 Chris LeBeau (Eric) is delighted to make his podcast debut with Rewrites! He is typically seen onstage in musicals, having toured the country and world with Chicago and The Producers. In NYC, he appeared in Crazy for You at Lincoln Center and in a developmental lab of Babes in Arms. 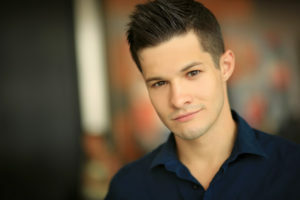 Regionally, his credits include shows such as Cabaret, Chicago, The Producers, The Music Man, Guys and Dolls, Man of La Mancha, Hairspray, and more. 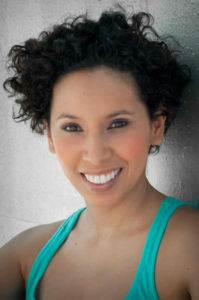 Monica Delgado (Marta), born and raised Colombia is an actor, dancer and voice over artist. Most recently she was seen in the indie film Bx3M, at the Film Festival International, Milan, where she won for Best Supporting Actress. Currently she dances with Pajarillo Pinta’o, a traditional Colombian dance company and is a member of HOLA and R.Evolucion Latina. 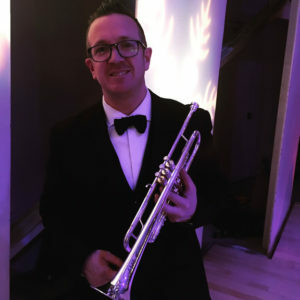 Matthew Timm (Trumpet player) is an active freelance trumpet player in New York City. He can be found in many big bands around the city, as well as festival bands, jazz, and pops orchestras. A graduate of the acclaimed University of North Texas, he played in the world-renowned One O’clock Lab Band garnering 2 Grammy nominations, and played on stages across the world and behind some of the biggest names in jazz music. Tawni O’Dell is the New York Times bestselling author of six novels including Back Roads, which was an Oprah’s Book Club pick and is currently in development to be made into a film by Michael Ohoven, the producer of the Academy-Award-winning, Capote, with a screenplay adapted by Tawni. She has also contributed to anthologies, magazines, and newspapers throughout the world. Her novels have been published in over forty countries. 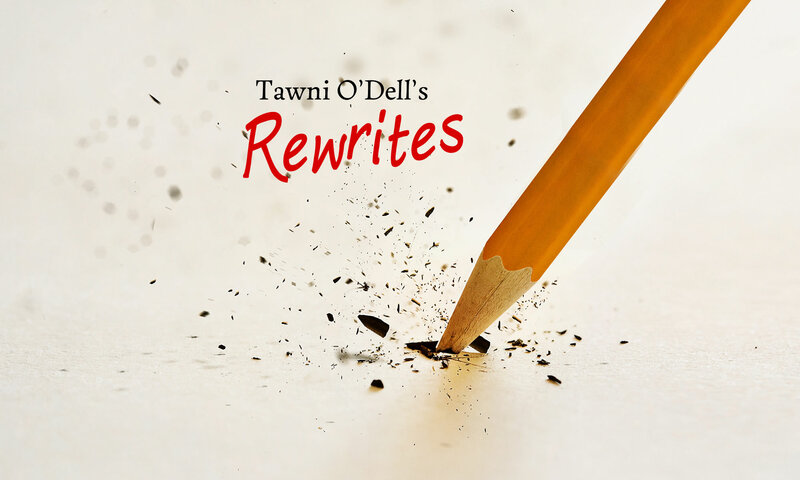 Tawni was born and raised in the coal-mining region of western Pennsylvania, the territory she portrays in her novels with such striking authenticity. She graduated from Northwestern University with a degree in journalism and spent many years living in the Chicago area before returning to Pennsylvania where she raised her two children, a daughter now living in NYC and a son attending college in California. Mitchell Maxwell is an accomplished producer, director, and thirty-five-year veteran of the entertainment industry with sixty-five theatrical productions and eight films to his credit. He is the visionary producer behind the Tony-award-winning rollicking Broadway revival of Damn Yankees, the Pulitzer-prize-winning drama Dinner with Friends, and the percussive theatrical wonder Stomp! to name a few. Mitchell, a lifelong New Yorker, grew up on Long Island and attended Tufts University in Boston where he later served as an adjunct professor. His most recent endeavors include serving as associate publisher of The Story Plant and the president and creative director of The Story Plant media division. 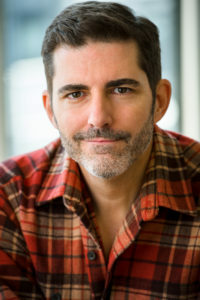 His first novel, Little Did I Know, was published in 2011 and the musical adaptation is slated to follow Rewrites as the first fully realized Broadway musical to be presented as an audio drama. Lou Aronica is the president and publisher of the The Story Plant and has more than thirty-five years of high-level experience in the book business. He was publisher of two of the industry’s largest imprints, Avon Books and Berkley Books, and deputy publisher of a third, Bantam Books. 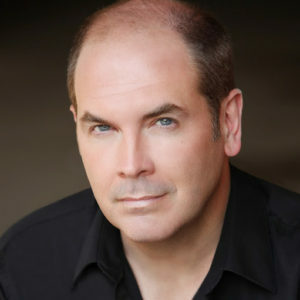 As a writer, he is the author of twenty-four books, including the New York Times nonfiction bestsellers The Element and Finding Your Element (with Ken Robinson), and the nonfiction national bestseller The Culture Code (with Clotaire Rapaille), the USA Today bestselling novel The Forever Year, and the national bestselling novel Blue. Lou is also former president of Novelists Inc.
Andrew Pandaleon has been an actor for most of his life performing in Off Broadway productions including The City Club and History of War. 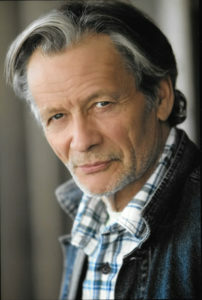 He has also been in countless regional productions including, Romeo & Juliet, The History Boys, Laughter on the 23rd Floor, Happy Days and Sunset Boulevard. 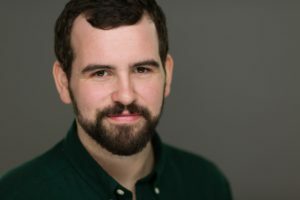 He has been a teacher at The Gateway Playhouse, is an avid songwriter, and is now happy to be in the producer’s chair for Rewrites. Andrew is originally from Chicago and graduated from UCLA. Matt Hall is a 22 year old person trying to make his way in the world. 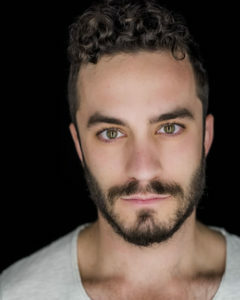 After graduating Brooklyn Tech he’s worked at a number of different productions including FringeNYC, The Midtown International Theater Festival, BAM, and a number of small independent works. When not behind the scenes Matt is a musician, having helped construct and play guitar for a stage adaptation of Pink Floyd’s The Wall. Special thanks to John Kilgore at John Kilgore Sound & Recording studio and Donna Deseta at Donna Deseta Casting.